Perfect teeth can lead to a great first impression. Studies show that 95 percent of people judge a person within 30 seconds. They look at clothing, physical hygiene, voice, and body language. How does one create a good first impression? Wardrobe is fairly easy. And a daily regime that includes skin cleansers and creams helps maintain a healthy glow. But all efforts can be for nothing if your smile fails to impress. Hollywood stars come to mind when one thinks of a big smile that gleams. A mouth filled with white teeth that are aligned and well-shaped is aesthetically pleasing. Harper's Bazaar writer, Ilene Rosenzweig, encountered Jessica Simpson's perfect smile when meeting the socialite at a party. She couldn't concentrate on the conversation as she was so mesmerized by the woman's perfect smile. The Simpson's secret? Dental veneers. Dental veneers are thin shells of porcelain perfectly shaped and bonded to the front surface of the tooth. They’re often made from durable material like porcelain. Veneers are a long-term solution to the quest for an aethetically pleasing, healthy looking smile. Later, after receiving her own dental veneers, Rosenzweig experienced the thrill of making a lasting impression at a party when one of the guests, unable to keep up with the conversation, said breathlessly, "I'm sorry. It's just that you have such a beautiful smile!" For many, the quest for perfect teeth includes teeth whitening. For many, simply removing stains and brightening up the teeth a few shades can make a major difference with little effort. Procedures range anywhere from in-home products such as whitening gels and strips to in-office treatments at your dentist. Opting for professional whitening by your dentist can brighten up your teeth up to 10 shades in about an hour. Your dentist will use a powerful whitening gel in combination with a high-intensity light to achieve same-day results. The good news is you may be able to straighten your teeth without using unsightly metal braces. This is possible with the invention of aligners. Aligners are virtually invisible and have the added benefit of being easy to remove when brushing, flossing, and eating. Patients wear a series of aligners, changing them every two weeks. Each one slightly adjusts the teeth and moves them into the position desired. Overall results typically take anywhere from six to 18 months. Smiling is actually good for your health because it releases endorphins that make you feel happy. Improving your smile through whitening, straightening, or veneers can give your confidence a boost and make it easier to smile often and much. What Does Dental Health Insurance Cover? 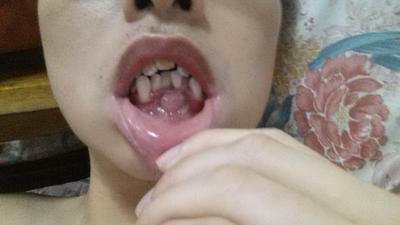 How Can You Get Rid of a Gummy Smile?